I must admit, we don’t eat a lot of fish. I think it’s because my kids are not crazy about it, so I just find it easier to cook something that pleases everyone. On the other hand, I grew up in a family that LOVES fish and we would eat it at least 3 times a week. And I am talking about fresh fish, not the frozen stuff. We would buy it evey Tuesday at the local market and have it over the next 2 or 3 days. When my parents were here, we made an effort to eat fish more regularly and I realised just how much I had missed it. I like fish made in very simple ways. I find that when the fish is fresh, the least ingredients you use, the better the final result. Today I will show you a very easy method for cooking fish. It works for most “white” fish (I would not make salmon this way) and it is a traditional Italian recipe, very famous on the island of Capri, near Naples. 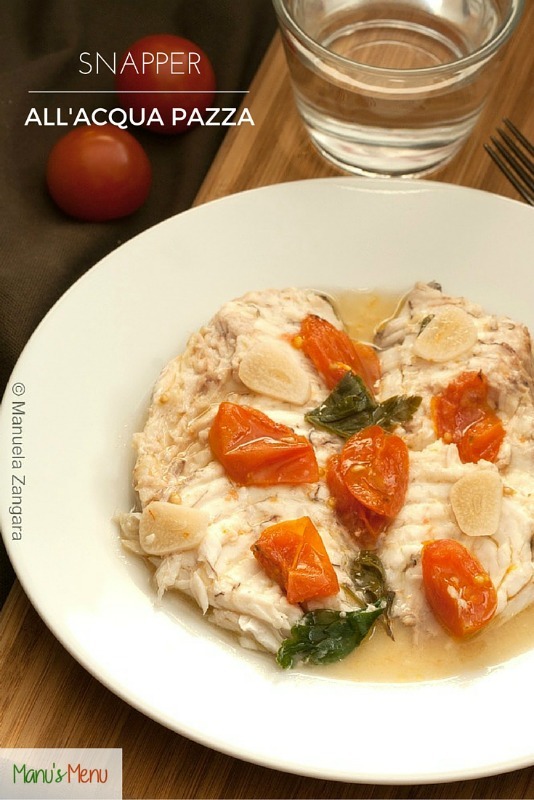 The name is quite funny as acqua pazza literally means “crazy water”… apparently, the fishermen who sautéed the catch of the day in seawater and other ingredients gave it such a funny name. But what is it? 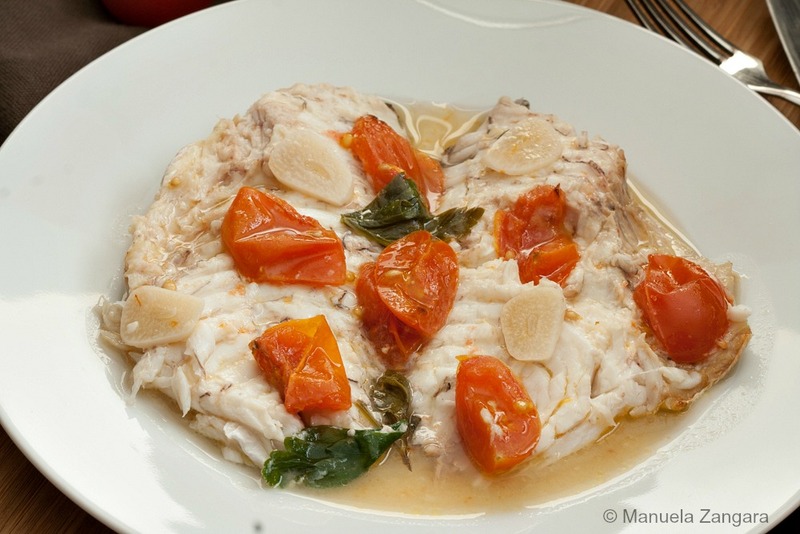 It’s mainly fish cooked in water and wine with garlic and cherry tomatoes and a few other ingredients. 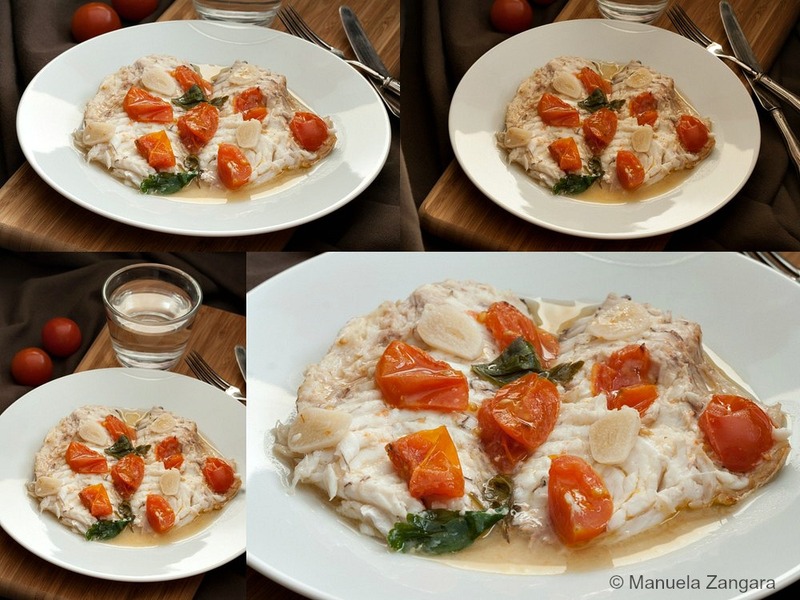 This Snapper all’Acqua Pazza is a real delicacy and the best part is that it is ready in just 30 minutes! Enjoy! 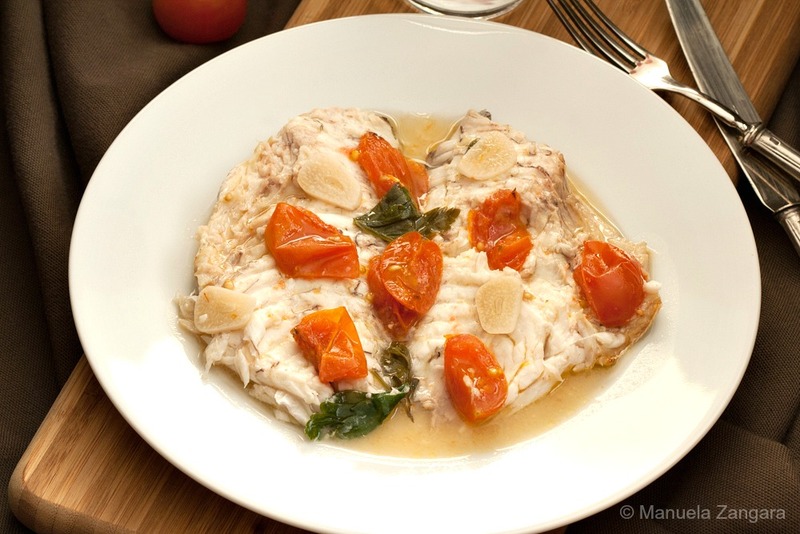 Snapper all’Acqua Pazza - a traditional Italian recipe ready in under 30 minutes! 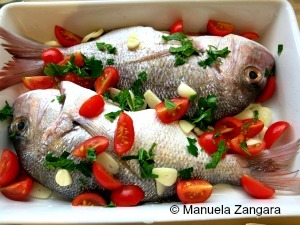 Put the fish in a baking dish and season it with salt and pepper. Drizzle the extra virgin olive oil on the top. Add the sliced garlic, quartered cherry tomatoes, chopped parsley, water and white wine. Bake in a pre-heated oven at 220°C – 430°F for 20 to 25 minutes, or until cooked through. Clean and serve hot with the sauce on the top. You can also use the sauce for spaghetti.